Do I have to be home during this project? NO. Our crews and trucks are self sufficient. We will need access to your space, either through an open door, a garage code, an opener, or a key. Most people reset their garage code to while we are there, and reprogram their private number back when we are finished. Will there be any dirt residue or dust due to the process? We take every precaution to reduce the amount or airborne dust. Our grinders are equipped with wet/dry vacuums to capture as much dust as possible during the floor preparation process. However, the particles are quite fine and inevitably some dust will escape. How long before I can park my vehicle on my newly coated garage? Each case is different, however we recommend 24 hours before walking, 2-3 days before placing items back on the floor, and 5-7 days after our installation process is complete before driving your vehicle on the coating. Can you apply Garage Floor Coating floor over an existing coating? Technically yes, but the existing coating must be completely adhered to concrete, we will still need to prepare the coating surface to insure proper adhesion. However, any failure of existing coating will void the warranty. If I have new concrete will I need to wait to have my floor coated? Concrete takes about 30 days, on average, to cure. After that we can apply our coating. What temperatures can your coating work in? We do coatings all around the country from cold climates in Michigan and Minnesota to hot climates in Florida and Arizona. 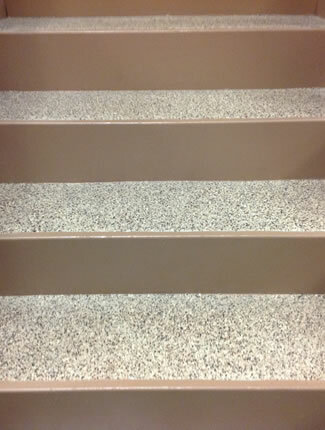 Since we custom mix our coating based on the application we can coat in virtually any condition. Will cracks appear in the coating as the concrete shifts over the years and with varying temperatures? Our coating contains a rubberized membrane that has over 600% elasticity. This reduces the possibility of reoccurring cracks. Any flooring surface can be slippery when wet. Since we have a varied range of anti-skid additives to add to the coating, we can make the floor as aggressive as desired to suit your particular needs. Does the anti-skid make the floor harder to clean? Our coating with low to medium amount of anti-skid is traditionally cleaned with a mop with water, or water/vinegar mixture. If you add more aggressive anti-skid, a broom and or scrub brush may be needed in place of the mop, everything else stays the same. I have a lot of cracks and loose concrete on my floor, will this coating hide or fix that? Yes, in a full chip application, any imperfection in the concrete will be minimized or completely hidden. We repair are cracks and loose concrete with a proprietary product, that is stronger than the actual concrete, before applying our coating. Usually 2-3 days for a 1-3 car garage, but each coating is different. 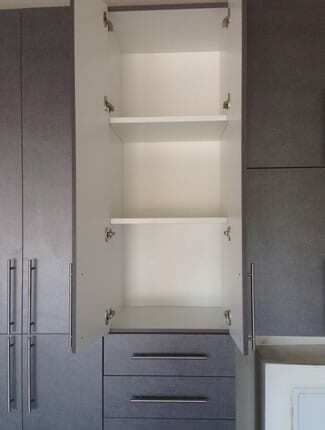 Where complete removal of existing coating exists, additional time may be needed. What is the difference between Garage Floor Coating of New Jersey and other coating companies? Our company has been in business under the same owner since 1996. 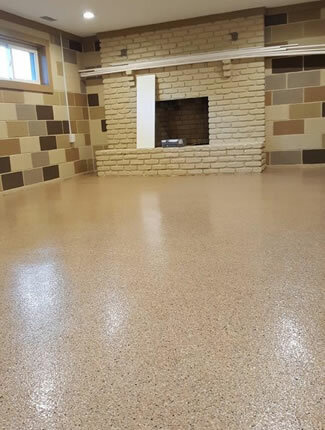 Furthermore, Garage Floor Coating of New Jersey specializes exclusively in custom floor coatings, where other companies may offer epoxy coatings as a secondary product to garage cabinets or other Items. Aren’t all coatings the same? No, there are many types of coatings available and all grades of coatings are not the same. 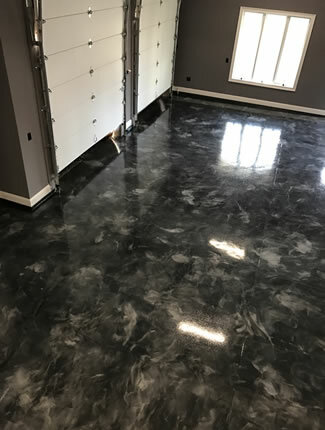 Garage Floor Coatings of New Jersey uses only industrial grade materials which include only the highest quality resins. We do not have different grades for residential and industrial coatings. 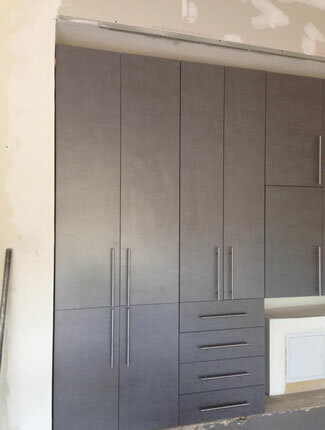 We use the same coating in your home that we would use at any industrial location. 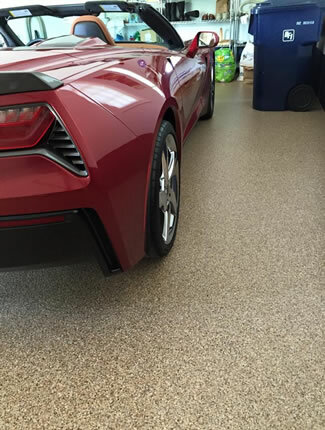 The coatings applied by Garage Floor Coatings of New Jersey provide the highest adhesion properties resulting in long lasting durability.